Add some glitz and glamour to your manicure with Pure Ice's new limited edition collection of glamorous glitters and show stopping shades! It is hard not to unleash your inner starlet with these scintillating hues like Getting Gorgeous, Vintage Glam, Viva Las Vegas and an enticing array of glitter pots. 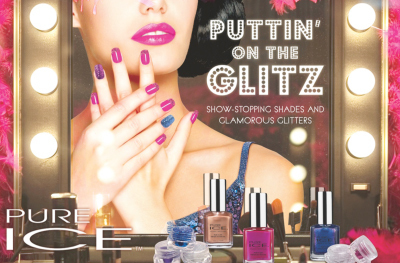 Pure Ice's Puttin' on the Glitz allows you to add a touch of sparkle to your mani without breaking the bank! the glitter pots (listed above) are new. To Use: Swipe on 2 coats of desired Pure Ice polish shade, Let nail polish dry completely. Dip nails into selected Glitter Pot. Press firmly onto the covered nail and dust off excess glitter. Seal with top coat if desired. All Pure Ice nail enamels are free of formaldehyde, toluene and DBP and contain a patented salon long-wear formula for a look that will last. 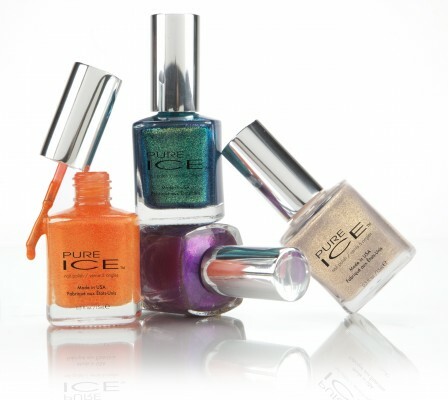 Retailing at only $1.99, Pure Ice nail enamels are available at Walmart stores nationwide. For more information, please visit www.pureicecosmetics.com or follow OfficialPureIce on Facebook, Twitter and Instagram. Join the conversation by using the hashtag #PureIceglitz.